Installation for "To Leave Earth / Lasciare la Terre"
Kate Kosek’s immersive installation on the second-floor terrazzo is an inaugural departure from her familiar practice of painting on two dimensional surfaces. 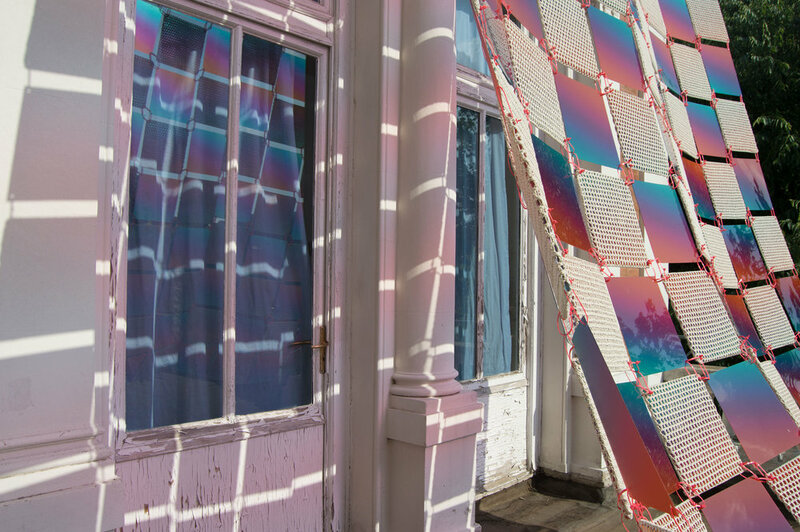 Her work focuses on sensory perception and meditation through formal systemic compositions. 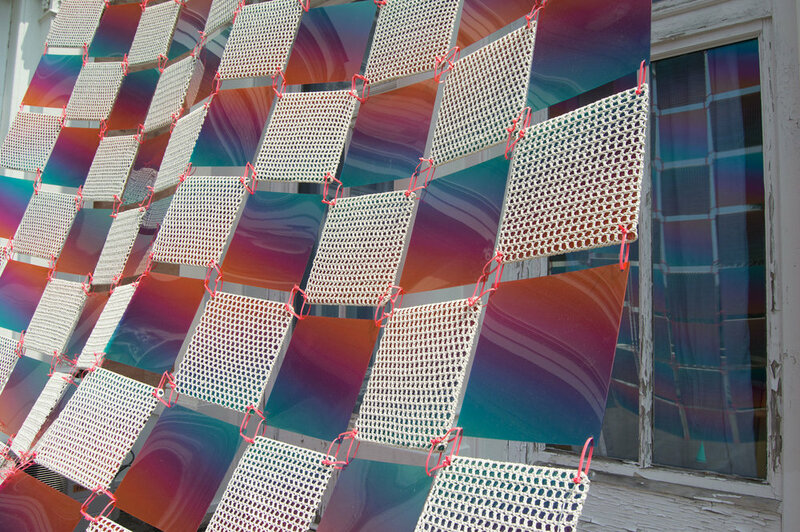 Inspired by NASA’s space fabric, a 3D printed and dual-purpose aluminum textile, Kosek hand crocheted and assembled her own grid structure made of cotton twine and digitally printed Plexiglas. “Fade Place” is an outdoor, daytime alternative to a planetarium experience. 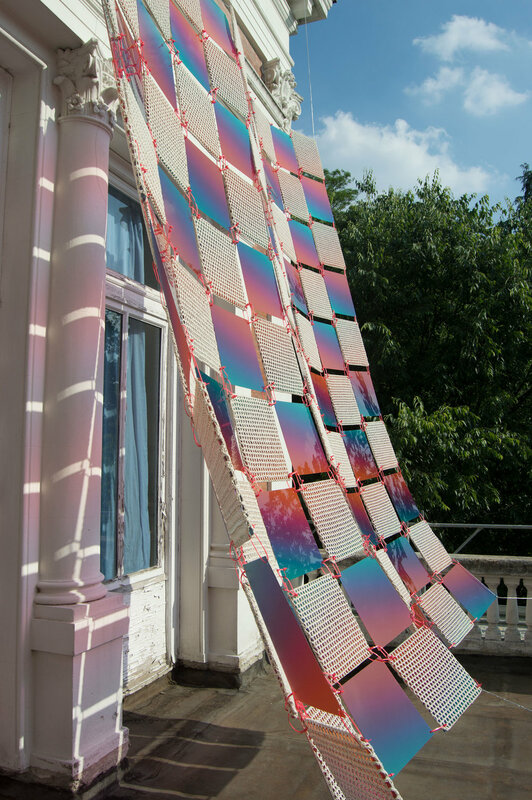 Reminiscent of stained glass windows, her aerial sculpture is activated by the sun and encourages the viewer to interact with the work by allowing the colors and patterns to be cast upon themselves. In a society that has become technologically obsessed, she is prompting individuals to look up from their screens to imagine what exists in and beyond the natural world.